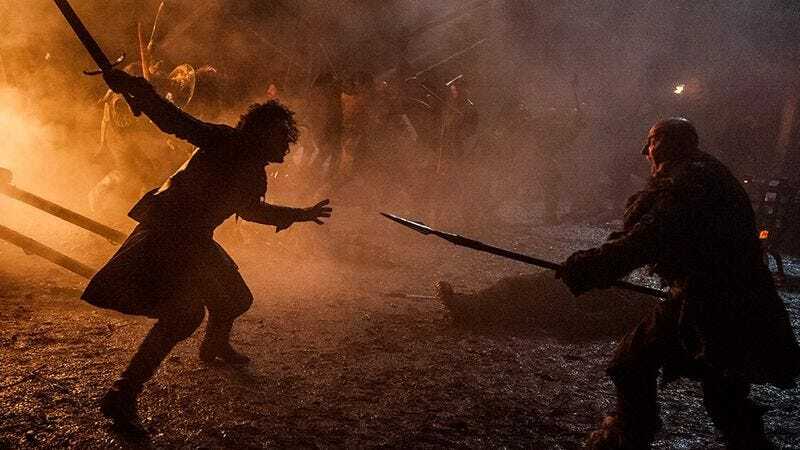 Neil Marshall, a director whose talent for epic, large-scale action sequences was proven several times over in the Game Of Thrones episodes “Blackwater” and “The Watchers On The Wall,” is planning something similarly ambitious, if slightly more intimate, for his next project. Called The Sentence, it’s being described as a “futuristic revenge thriller in the vein of Death Wish,” which sounds totally brutal and awesome. Not much else is known about the plot, but taking into consideration the participation of Olympus Has Fallen screenwriters Katrin Benedikt and Creighton Rothenberger, at least one person is probably going to get a knife in the skull. Or, because it’s “futuristic,” a ray gun in the skull. Either one. This will be Marshall’s first feature film since 2010’s Centurion. He also recently directed a segment in the upcoming horror anthology Tales Of Halloween.